The search for the smartphone with the best camera is never-ending. As soon as we think a particular device is the best, the mobile manufacturers are so competitive that they release an even better device the next time. Here we have 3 smartphones from the leading brands: Apple, Google, and Samsung to compete with each other. The smartphones in this race are Apple’s iPhone X, Google’s Pixel 2XL and Samsung’s Galaxy Note 8. Let us see how these smartphones perform in different conditions and decide the best camera phone. The Pixel 2 XL takes the early lead thanks to better light metering and accurate colors. While the iPhone X loses out in exposure, it’s close behind the Pixel when it comes to sharpness. The Note 8 doesn’t do too badly with the exposure but the details on the objects are a bit softer. Low light shots let us test the dynamic range of the sensors and how they adapt to artifacts like noise when the ISO is bumped up. Pixel 2 XL most accurately balances the detail and lighting thereby having the best light metering among the three. The iPhone X comes next as it also captures very good detail and balances the exposure nicely. The Galaxy Note 8 has issues in metering right with so many varied light sources around and ends up overexposing the brightest portions. We get to test out the camera’s depth of field capabilities, sharpness, and color accuracy of the sensors when shooting close up subjects with macro shots. The iPhone X is not very great in capturing the subject correctly, ending up with much darker colors overall. The Pixel 2 XL once again produces the best image quality, by accurately representing the scene. The Galaxy Note 8 boosts the colors but fails to capture good detail in areas that are not in the main focus. The Pixel 2 XL can calculate the depth between your subject and background and add a software blur or a bokeh effect like you get with large aperture lenses on DSLRs. In the Note 8, you can even adjust the level of blur before and after you take the shot. The Galaxy Note 8 has the best white balance of the lot in outdoor close-up shots under good lighting. The iPhone X functions in the same way as the Pixel but with slightly softer details on the face. But the Pixel 2 XL fails to apply the bokeh effect correctly in some scenes. The iPhone X and Galaxy Note 8 boast of secondary sensors, which allow them to pull off optical zoom with ease. When we say zoom, it’s not just the camera app switching to the second sensor, but a longer focal length so you automatically get a zoomed in a picture. The iPhone’s primary lens has a focal length of 28mm, which gives it a 1.85x level of zoom when you switch, while the Note 8 has a 26mm primary sensor, thus giving you an effective 2x zoom level when you switch. Panorama mode is another commonly used feature by many users. Details are fairly good on all phones but the iPhone X stands out as it has slightly better color representation during the day. In low light, the Pixel 2 XL does the best job of sticking together a panorama. The Note 8 doesn’t quite get the panorama right but I have to admit that it is the fastest at shooting and processing. Google has made the best decision not to mess with the original Pixel which had an uncannily good selfie camera. The Pixel 2 XL shoots the most detailed selfies among the three and also has a very wide field of view, so it’s easy to fit in more people. The iPhone X is not very good with the field of view for selfies but it does produce the best skin tone. The Note 8 captures a slightly softer and image overall, which is not as exciting as the rest. iPhone X might not have the best compared to Android flagships when it comes to stills but there was no beating it in the video department. It delivers excellent 4K video recording during the day and it’s the only one that can do 4K at 60fps. 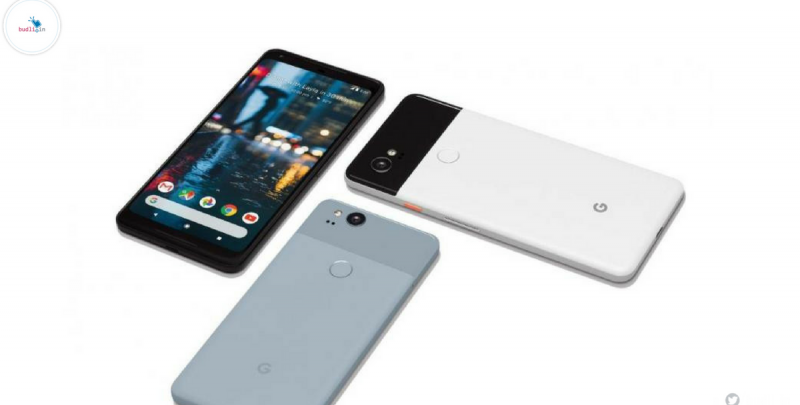 The Pixel 2 XL comes next, delivering very good stabilization at 4K at 30fps. The Galaxy Note 8 delivers 4K 30fps and captures the best quality audio among the three, and there’s a visible shaky effect in the stabilization when there is movement. Autofocus speeds of the Note 8 and Pixel 2 XL are astonishingly fast too and are slightly better than the iPhone X. From all the above listings you will be able to decide on the best camera smartphone suitable for your needs. All the features are amazing, but the price? Too high right? I know! Want an equally awesome smartphone for a relatively lower price? Search no more, budli.in is here to serve you with the best smartphone for all your specifications. Budli is the largest re-commerce site for refurbished goods with the best variety of gadgets from mobiles to laptops to desktops. Don’t wait, go grab attractive discounts on all the devices only at budli.in.